Induction: What is It Really Like? 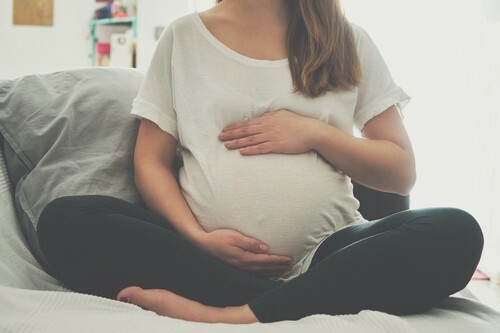 If you’ve been told you need to be induced, your medical professionals have likely explained the very routine nature of the process, and that there’s nothing to be concerned about. While both are certainly true, here are some labour induction stories straight from mums—to dispel any worries you might have. You may have an induction booked if your due date has come and gone, or your waters have broken but contractions haven’t started. Inductions are also advised if there are certain health concerns for you or your baby. This change to your birth plan might not quite be what you envisaged for welcoming your bubs into the world, but the safety of baby and mum is paramount—and these real-life experiences via madeformums show there’s no need to fear. “My little miracle was born 9 hours after induction and 20 minutes of pushing. It was a lovely labour. Kat G recalls her induction: “We had static growth weeks 38-40, due to my placenta giving up. “I was induced and [given an emergency C-section] under anaesthetic at just 4cm dilated. My worst nightmare, but you know what, it was fine. Jakki0356 breaks down the process: “They will more than likely give you a pessary at first, which will soften you cervix, allowing it to dilate reasonably quickly. Sometimes, this is enough. “The next stage is either another pessary, or if you are 2-3 cm, they will break your waters. This is quite uncomfortable, so I recommend gas and air to hand! “If you are having more problems dilating, they sometimes will stretch you to 4 cm or pull your womb forward (which they did with me) – again, gas and air! “The next step is a drip. it brings on your contractions strong and fast. “I found it to be relaxing as the midwife spoke to and told me every little step by step guide what would be happening. When Shyness Becomes SeriousHow Long Should a Tot Take to Nod Off?